Well the Earth has orbited the Sun another time and we've reached the end of the year. 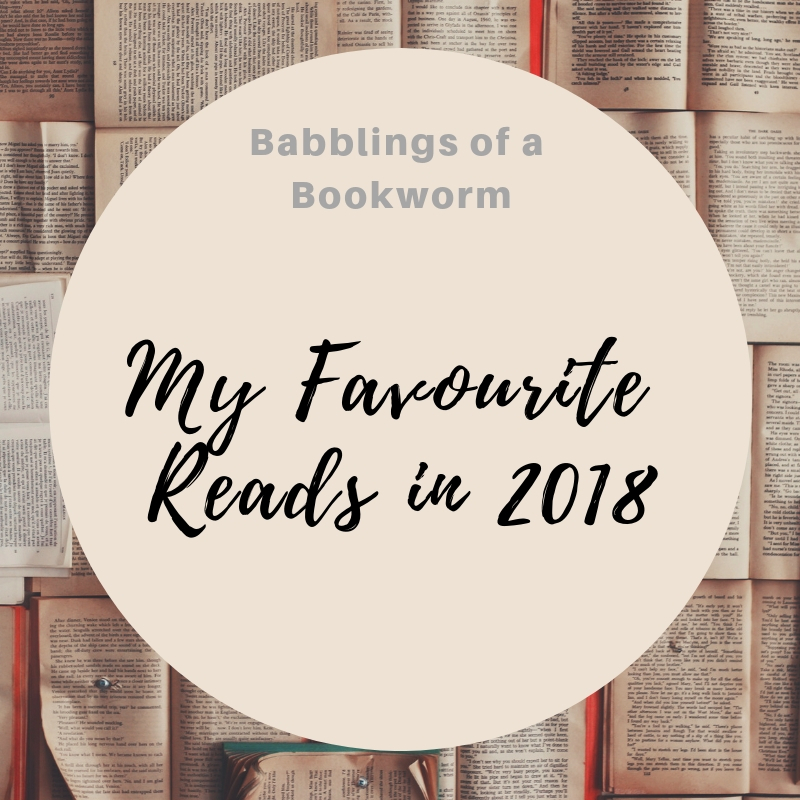 For me, it's been a very busy year in work and at home, with a new job, plus some major building work, which is still not entirely complete (gaaaah!). Unfortunately this has impacted on my mental energy and reading time. I got far less read this year than I'd like, and didn't review everything. However, I still had some good reads, and here is my pick of them. 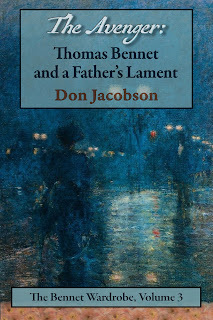 I'm pleased to be welcoming Don Jacobson back to Babblings of a Bookworm. 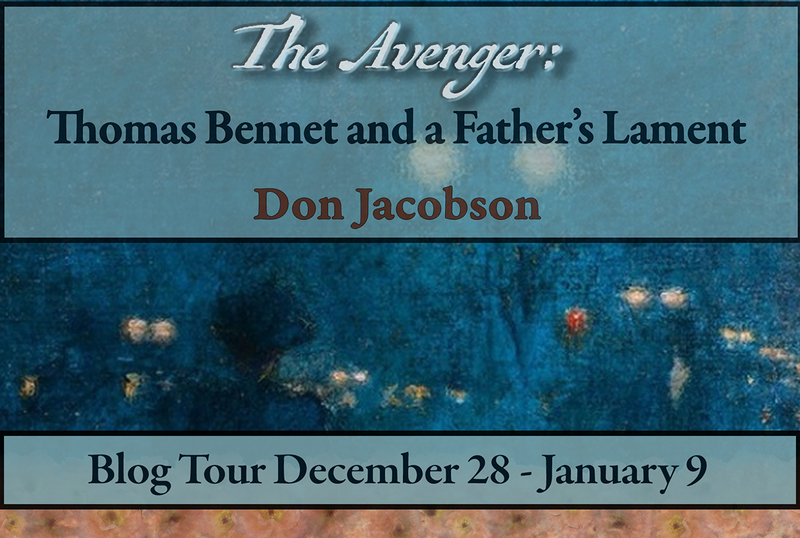 The latest book in his Pride & Prejudice-inspired Bennet Wardrobe series, The Avenger: Thomas Bennet and a Father's Lament, is now available, and this is the first stop on the blog tour, which features a guest post, excerpt and giveaway! What is the ‘Bennet Wardrobe’? Well it’s literally a wardrobe, but it’s no ordinary piece of furniture. It can transport people of the Bennet bloodline forward in time for a period, and then transport them back to their original time. The time traveller doesn’t get to choose when they travel to; it’ll take them to a period that will teach them something they need to know. 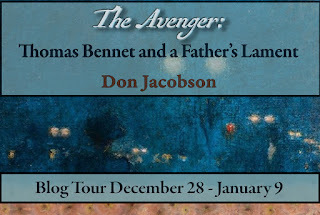 Let's look at the blurb for The Avenger, and then pass over to Don Jacobson for his guest post. Let me share the blurb with you, and then we will hand over to Abigail for an excerpt from Mr Darcy's Enchantment. Fitzwilliam Darcy is a powerful magician who controls fire, water, and wind. 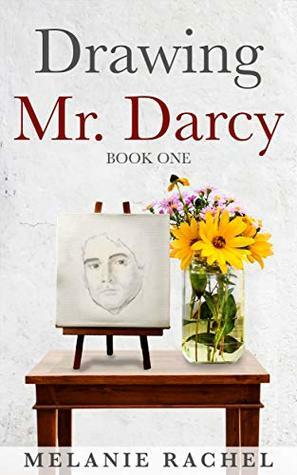 What he cannot control is his growing feelings for Miss Elizabeth Bennet. But Darcy is also sworn to uphold the laws which forbid women to use magic, and Elizabeth knows it. Elizabeth’s sentiments towards Darcy are quite different. She detests his arrogance, and she fears he will expose her use of forbidden magic. He is the last man in the world she would choose to help her on a difficult and dangerous task. But when a magical war looms between the land of Faerie and their world, a Lord of Faerie demands that Darcy and Elizabeth serve together as his emissaries to make peace with the other mortals. That mission throws them into the middle of a chaotic power struggle between magicians whose power dwarfs their own, and everything Elizabeth has ever believed about her family, her friends, and her enemies will be called into question. 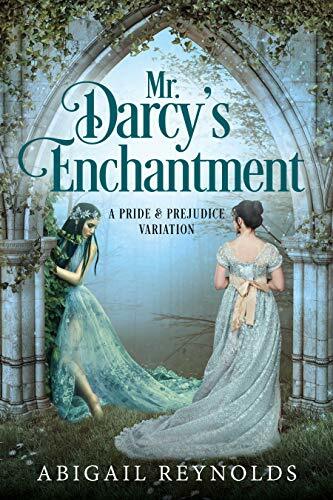 This magical variation of Jane Austen’s Pride & Prejudice makes the land of Faerie as real as Regency London and Rosings Park, as bestselling author Abigail Reynolds presents new challenges for Darcy and Elizabeth in her longest and most enchanting story to date. It feels like Christmas is here already with all the winners I have to announce! We've had some visitors to the blog lately who have been so kind as to provide some giveaways. Congratulations to you, I will be in touch. 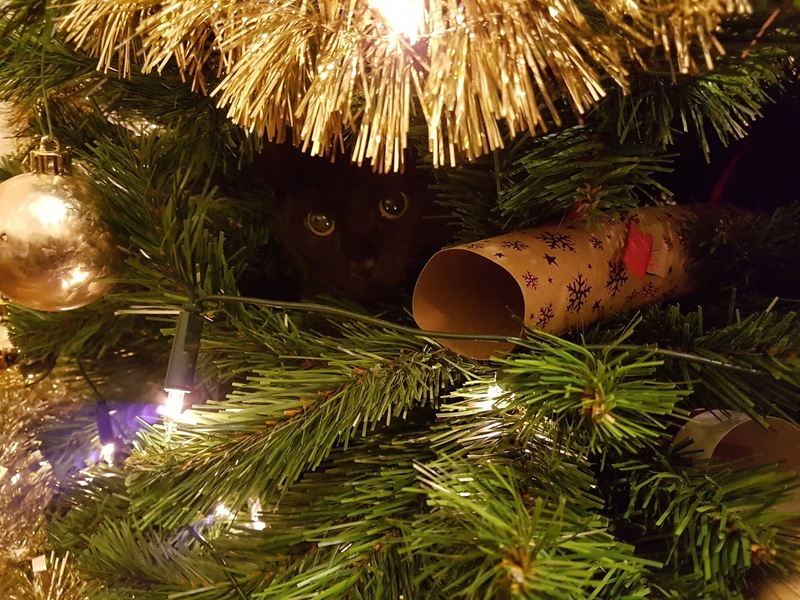 Are you feeling festive yet? 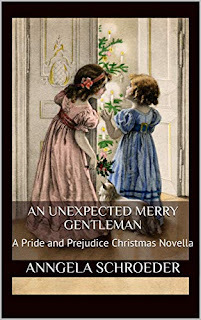 I hope so, because I am welcoming author Anngela Schroeder back to the blog with a seasonal novella, An Unexpected Merry Gentleman. I'll share the blurb with you, and then hand over to Anngela for her guest post. She's also brought a giveaway! ‘Tis the season to be jolly and Mr. Darcy and his sister have been invited to Netherfield for Christmas with Bingley’s business associate and the Bennets of Longbourn. There is no comfort or joy for this taciturn man when he discovers the sparkling Elizabeth Bennet finds him proud and arrogant. His only choice is to win her heart, but is it too late to change her opinion of him? I am a big admirer of Karen M Cox's works, which generally take Austen's works to another era. 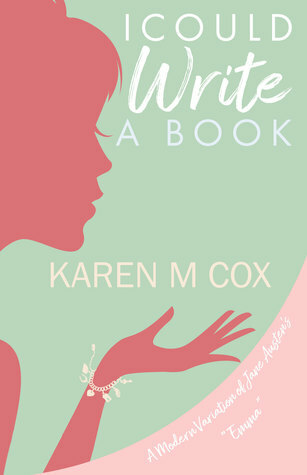 The books I have read are mainly based on Pride & Prejudice, but last year Karen released I Could Write a Book, which transported Emma to the 1970s. I loved the book, and you can read my review of it here. Karen is currently going through the process of having I Could Write a Book converted to audiobook, and has come here to post about that. I'll share the book description with you first, and then hand over to Karen. Her friend George Knightley is a man of the world who’s come home to fulfill his destiny: run his father’s thriving law practice and oversee the sprawling Donwell Farms, his family legacy in Central Kentucky horse country. Ladies, I have contact details for both of you so I will be in touch. Dung, I have your contact details, so I will be in touch. Congratulations to the winners, and a big thank you to the authors for the posts and the giveaways! 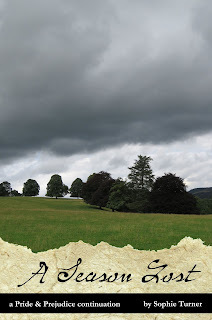 Today I have the pleasure of welcoming a new visitor to the blog; Maggie Mooha has written a Pride & Prejudice variation which has been garnering some excellent reviews. This book sees Elizabeth visiting the Caribbean, after a traumatising event. I have an excerpt to share with you, and Maggie is kindly offering a giveaway too. Let's have a look at the blurb first. Darcy's sudden, passionate kiss sweeps Elizabeth into a bliss she has never known...but their love is short-lived. On a field of honor, Wickham, once again, engages in an irresponsible act, which leaves Darcy mortally wounded and Elizabeth broken. Refusing to leave Darcy's side, the last vestiges of her reputation are shattered, and when Elizabeth sees Darcy in his coffin, she is ruined in more ways than one. Devastated and without hope, reluctantly she agrees to accompany friends to Grenada, a Caribbean island on the brink of revolution. Things are not what they seem. 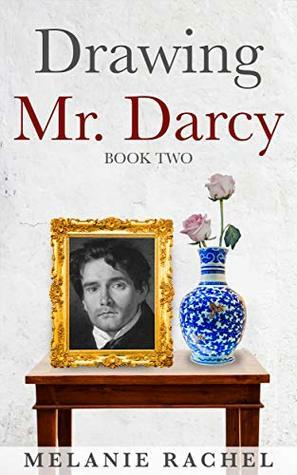 Darcy hasn't died, but Elizabeth is gone and he fears it is too late to recapture what he has lost. As he struggles to recuperate, he must put aside his pride and his heritage in order to find the only woman he will ever love. 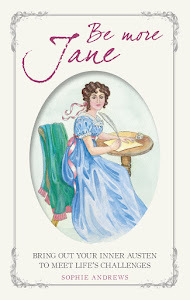 Never before has Darcy sacrificed so much for a passion he fought against so vehemently. And never before has Elizabeth’s strength of character been stronger - it is the only thing standing between her and an end that doesn't include Darcy. Today I'm joined by Sophie Turner with a guest post about the third book in the Constant Love series. 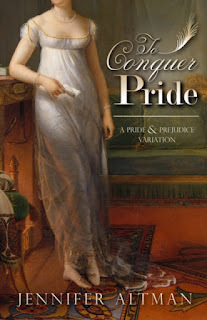 The first book, A Constant Love, is a sequel to Pride and Prejudice, following Elizabeth as she juggles the beginning of her married life with the social demands of launching sisters into society. The second, A Change of Legacies, continues the story. Let's share the blurb of this third book, A Season Lost, and then hand over to Sophie for a guest post and giveaway. As the “Year Without a Summer” threatens estates across Britain, Elizabeth and Georgiana both go on journeys that take unexpected turns – journeys that will threaten the lives of those they hold dear. Three of Elizabeth’s sisters find their lives changed by childbirth, while on Pemberley’s grounds, a surprising romance emerges. A story of love and family, and the third instalment of the Constant Love series. My goodness me, another month gone already! I'm in the throes of Christmas preparation, but hope to carve out some reading time, probably late on in the month. I'm also hoping to get time to go to the cinema - there are 3 films I'd like to see (Bohemian Rhapsody, The Crimes of Grindlewald and Wreck it Ralph Breaks the Internet). There is no way I'll manage to see all three, but just one would be good! I also need to fit in wrapping presents, preparing food, and watching many, many, many Christmas films with my children (it's tradition!). I don't have my tree up yet, but here is a gratuitous picture of one of my cats in last year's tree. I have a very busy month lined up for you on the blog, so I hope you'll be able to join me for some of the posts that I hope to bring you. Sophie Turner has the third book of her Constant Love series out, A Season Lost. 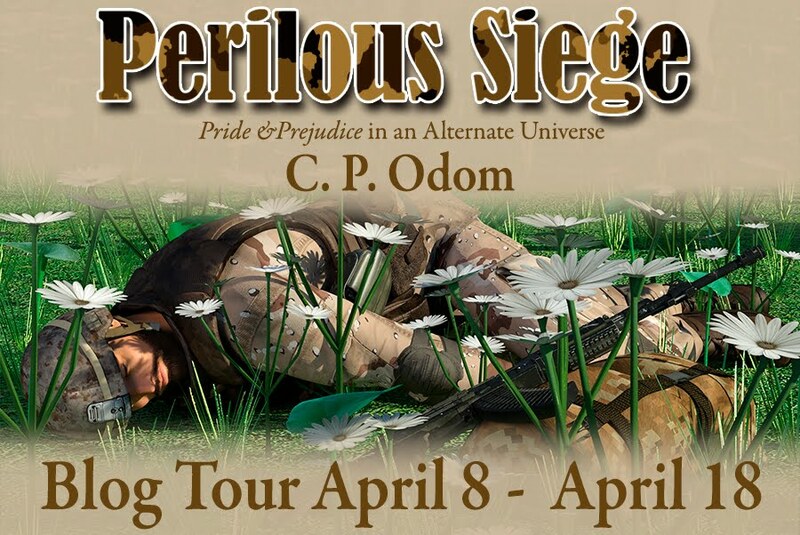 This series follow on from the events of Pride & Prejudice to imagine what might have happened next. You can see my reviews of books 1 - A Constant Love and 2 - A Change of Legacies to get an idea of what they are about. I hope to read this book in January, but Sophie is coming here with a guest post, which I'm really looking forward to. Maggie Mooha is a new author. 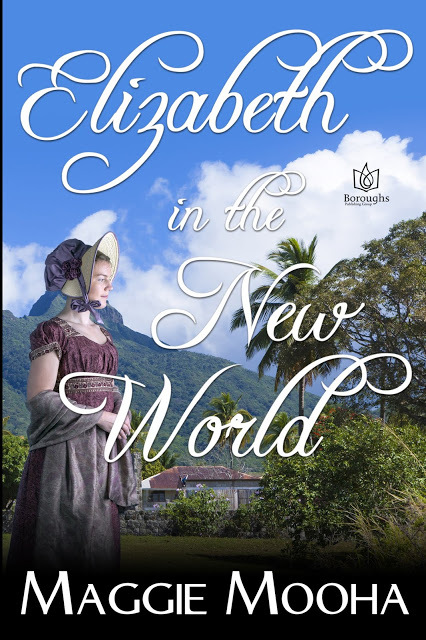 She has written a Pride & Prejudice variation, Elizabeth in the New World which has garnered some glowing reviews already. 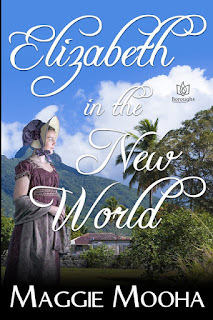 As you can tell from the title Elizabeth ends up travelling further afield from usual, to the Caribbean. This book sounds extremely exciting, I hope my nerves are up to it! I'll be bringing you a guest post of this book, though I hope to read the book later this month. I'll be welcoming Karen M Cox back to the blog. Karen has been here many times before, and I have always enjoyed her books, which usually take Austen's novels to different eras. Most of her books are Pride & Prejudice-inspired but her latest book, I Could Write a Book, saw Emma transported to 1970s Kentucky. I loved the book, and it's coming out on audio soon, so Karen is due to come here with a post in anticipation of the upcoming release. You might have read my recent review of Melanie Rachel's Drawing Mr Darcy: Sketching His Character (if you missed it, you can read it here, and if you're quick, enter the giveaway for an ebook). This is book one of a series of two. I plan to bring you a post about book two, Drawing Mr Darcy: A Faithful Portrait. Finally, I have Abigail Reynolds visiting here as part of her blog tour for her book, Enchanting Mr Darcy. This sounds a little different from Abigail's usual variations, as this one is set in a world where there is magic. I love Abigail's books so I'm really looking forward to her visit and finding out more about the book. Phew! That's a lot, isn't it! Particularly as I have to fit in all the extra socialising that December brings. I also aim to bring you a pick of the year. I hope you can join me for these posts. Let me know in the comments what you hope to read this month!